A healthy success continued into the 1970s. Graham Daniels won the gold medal in the schoolboys’ National Road Race Championship and another schoolboy, John Bailey, was selected for a national squad racing in Germany. Another highly successful rider during this period was Howard Wilkinson who represented Great Britain in the amateur Paris-Roubaix event. The club was very vibrant at this period of time for road racing with numerous successful riders. Alongside Bill Woodrow and Graham Daniels, the likes of John Cosgrove, Steve Davies and Steve Jolley would all compete collectively not only for our own trophies, but also won several races and events both locally and regionally for many years. Graham Daniels, National Schoolboy Road Race Championship Gold Medal. Trevor Horton, our current club chairman, a rider known both regionally and nationally, has won races and trophies right across the board. From flat to hilly road races, individual time trials to the Manchester Time Trial BBAR Championship, and 4 times consecutive TLI National Vets champion, the 19 wins recorded by Arthur Turner doesn’t come close to the number of races Trevor has won, understood to be at 27 Time Trial Wins and 52 Road Race Wins. From holding the Club 10 TT record for over 10 years, Trevor has uniquely won trophies from the 10 mile distance to the Fastest 12hr Elin Trophy, as well as winning our Open Road Race and Overall Club Champion Trophy. A champion and a gentleman, Trevor is a credit to the club and we are pleased to have him as our chairman. 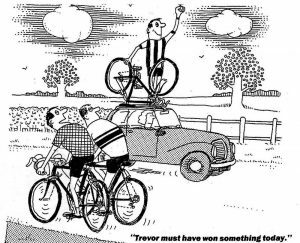 Wherever you may don the Warrington Road Club Jersey, it is possible you may have someone tap you on the shoulder and say… “Oh, Warrington Road Club, you must know Trevor Horton!”. Trevor Horton, 27 Time Trial Wins, 52 Road Race Wins, Regional and National Champion. 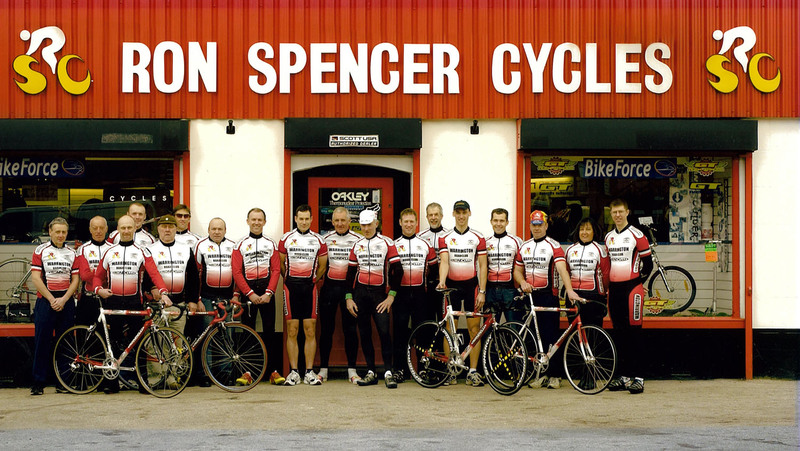 Glenn Longland, our current Club President, is a true all round cycling competitor and legend in his own right. Hampshire based racing for Antelope Racing Team, his cycling career includes membership of the GB Junior Cyclo-Cross Team where his cycling victories first began. Glen would win Cyclo Cross Races, Hill Climbs, 10, 25, 50, 100 and 12 Hour Races, various National Championships, Road Races and a legendary solo break and stage victory in the Peace Race. Holder of six Road Records Association (RRA) records, current place-to-place records spanning 19 years between 1979 and 1998, and the rather more obscure 50-mile Tandem Tricycle Record, set with Dave Pitt. One of his most memorable achievements must be the 1991 twelve hour competition record of 300.84 miles. This was the first 25 mph+ ride at the distance, a target which many others had unsuccessfully tried to attain and still try to attain to present day. Warrington Road Club are delighted to have Glen as our Club President. Rod Brooks, still a club member, was a top rider before he joined WRC in 1976. Riding for the likes of Nova CC and Mercury RC, he’d already won the M&DTTA 4x Distance Bar three times before winning it again in 1976 when he joined Warrington. He finished in the top 12 in the National 12 Hour for the 3rd time, and in the following years went on to win the M&DTTA 25 and 50 competitions. 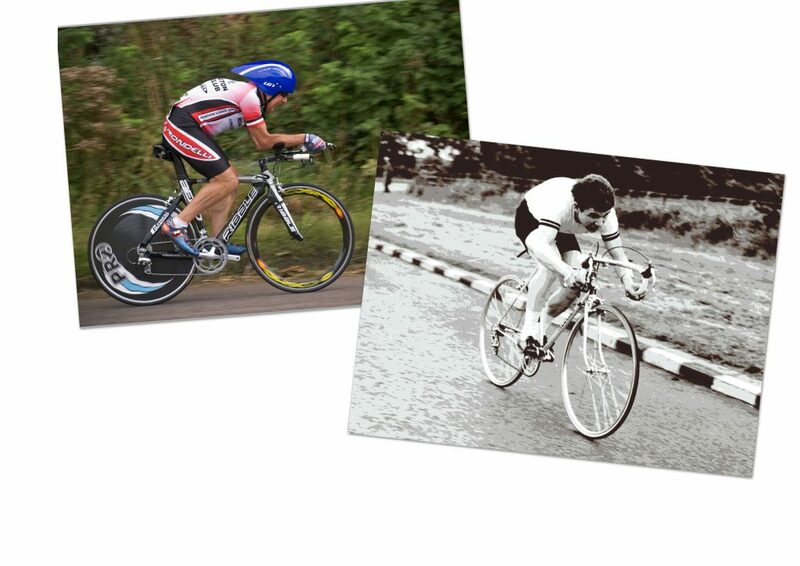 Renowned for being a classy rider over the longer Time Trial Distances, in his first year Rod became the first Warrington Road Club rider to go under 4 hours for the 100 Mile TT distance, breaking the club record by 10 minutes previously held by Ron Spencer. An amazing ride that day, it stood the test of time as it remained a club record for 25 years. Rod has gone on to win over 20 club trophies in his time in Warrington Road Club and in later years, he went on to hold a National Record. 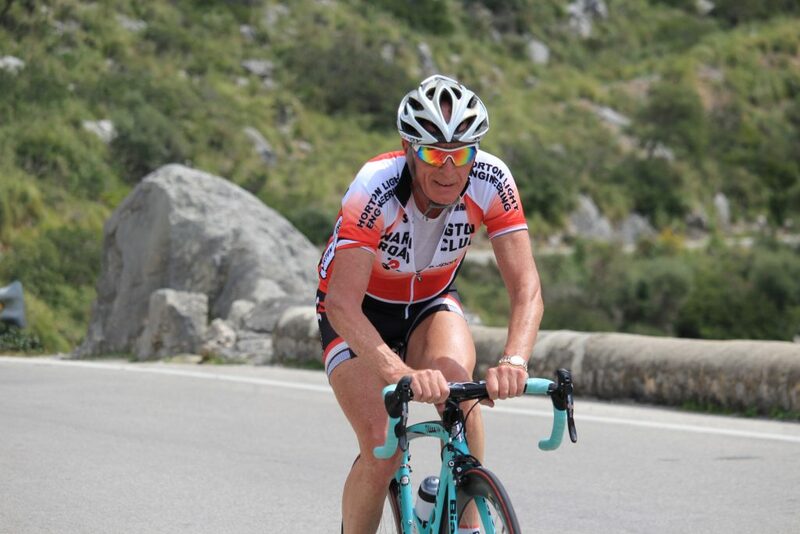 He is currently the oldest man to break 4 hours in the 100 Mile TT event at the age of 69, when he road 3.59.05 in 2014. Moving towards the end of the 20th Century the club continues with a healthy representation in time trials and road racing. Trevor Horton notably won both Road Racing and Time Trials at Vets levels not only regionally but Nationally too. Both Steve Hankey and Carl Miller have won the M&DTTA 50 championship as well as taking the M&DTTA ‘Middle Distance Championship’. Numerous regional open wins from Malcolm Horner and Alf Hilton would be backed up by wins in the M&DTTA points competition. Gordon Leicester, Steve Hankey and Steve Hargreaves all won that Manchester District Points Title for the club. Pictured is Steve Hankey in 2017 coming out of Seven Sisters on the gruelling J2/9 course. Steve has won most of the club Trophies available across both Time Trial and Road disciplines and won the oldest club Trophy, the Dingsdale Perpetual Trophy a record 12 times. Steve Hankey, Warrington Road Club, District Champion and Multiple Club Trophy Winner. Thanks to Ellen Isherwood for the photograph. 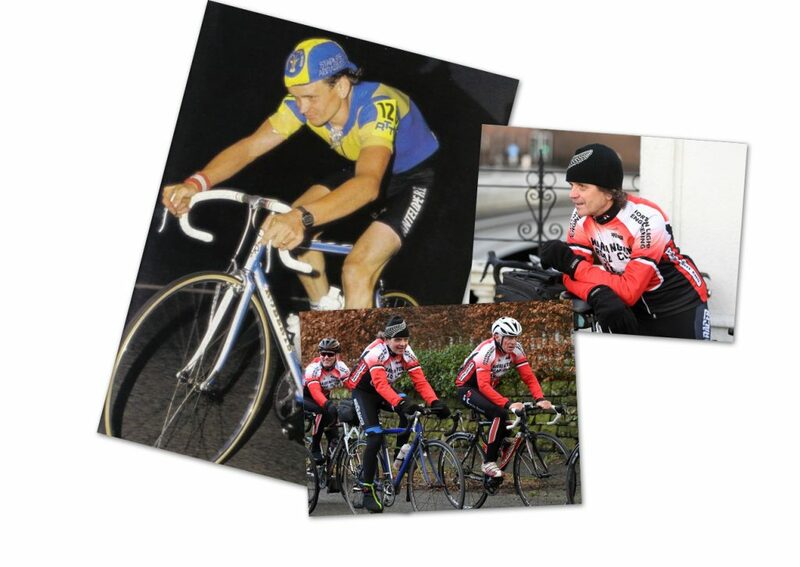 Warrington Road Club have also had the pleasure of having some riders join our club or come up through the ranks to go on to greater things in the cycling world. Make no mistake, the success of these riders is down to the riders themselves, however, what it shows is that local clubs like ours that share our ideologies can be used as springboards to successful cycling careers, and long may this continue. 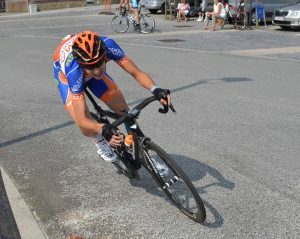 Paul Shrerwen, Former WRC Rider, going on Pro and Tour De France rider. Paul Sherwen for example who joined the club from the Weaver Valley CC in 1975 went on to the sponsored Altrincham Rotolac club. 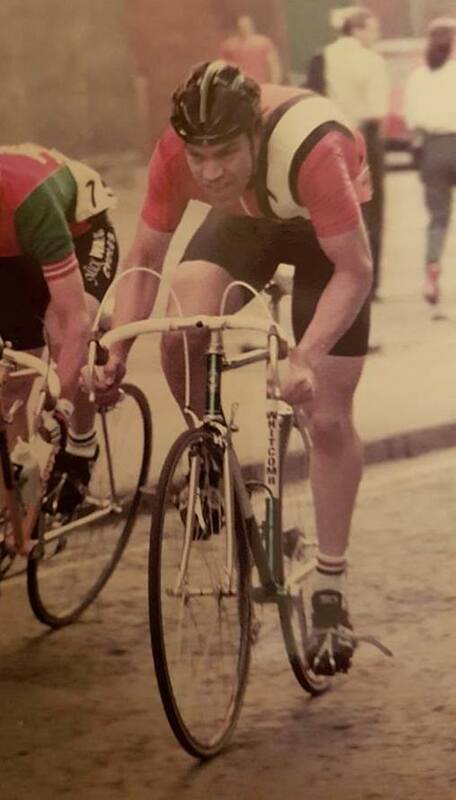 Soon after Paul turned professional and rode in the Tour de France for teams Fiat – La France, La Redoute and Raleigh. 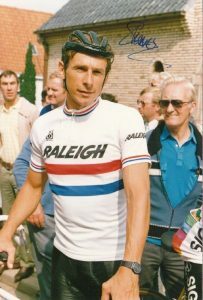 Paul was crowned National Circuit Race Champion in 1986 and National Road Race Champion in 1987 for the Raleigh team. Hewent on to commentate on the Tour De France and other pro racing for many years and is still involved in cycling today. Tom Bracegirdle joined Warrington Road Club as a junior, winning the Arthur Hall Memorial Trophy Junior 25 TT trophy. 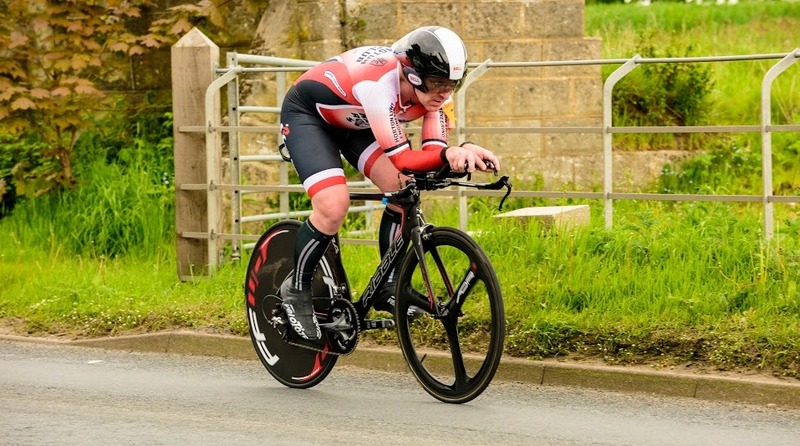 He left to grow through the ranks of UK Cycling racing for the likes of Team Elite-Paul Bethell Electrical, when he won 7 races in his first year including the TLI National Junior RR Championship. Tom moved onwards and upwards riding for Biketreks Racing Academy, Kuota-Spinergy-GSG, before moving on to a successful career in Belgium for Team Handi-ness and finally Goma Dakwerken VDB Steenhouwerij Cycling Team. Tom’s blogs are an interesting read from his time cycling and are available to view at http://tombracegirdle.blogspot.co.uk/. 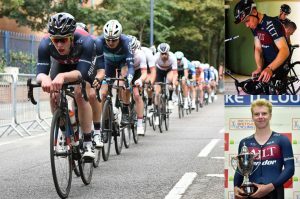 Matt Gibson, who also joined Warrington Road Club at a similar time to Tom,moved up the ranks through the years and became part of the 2015 British Team with Bradley Wiggins, OwainDoull and Steven Burke for that year’s Track World Cup. Matt Gibson, Pro Rider at JLT Condor, winner of National Circuit Series Champion 2017. In 2017 Matt signed for Pro UK Team JLT Condor and is back competing at the highest level again. Matt Gibson recently road the Manchester District queen course J2/9 in 2017 and won convincingly with what we understand as a course record of 50 minutes and 12 seconds. Later in 2017 he was crowned the British Cycling – HSBC National Circuit Series Champion. Matt won all three of the Revolution Points Races at London, Glasgow and Manchester in the Track Revolution Points Series 2017-18. Now in the 21st Century, the club still thrives in its own rider’s interests in racing, with a healthy and consistent number of Road riders and Time Trial riders competing in events throughout summer on a weekly basis. To the end of 2017, club records have crashed 21 times. Nick Giles started the trend with records in the 10, 25, 30 and 50 TT Distances, pipped later by Alf Hilton in the 10 and 25 events. 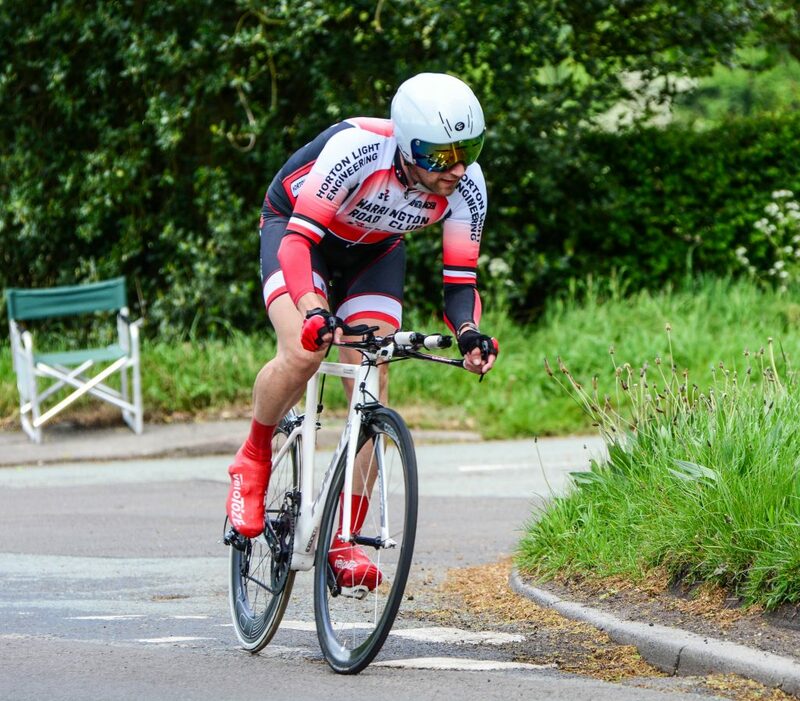 Turning from triathlon to specialising in Time Trials, Steve Daintith broke the 10, 25 and 30 mile records 5 times and became the first club rider to record under 20 minutes for a 10 mile time trial. Steve Hilton, our most recent fastestrider at these shorter distances, has also broken records 5 times. He is currently the 10, 25 and 30 mile record holder. Steve Hilton, Club Record Holder over 10, 25 and 30 Mile Time Trials. Thanks to Ellen Isherwood for the photograph. Moving on to the middle to longer distances, Gordon Leicester’s 01:47:03 50 Mile record still stands from 2009 when he pipped Alf Hilton on a fast day in Derbyshire. Alf Hilton’s100 Mile TT record of 03:49:26 from the same year still stands. However one record that has stood the test of time since 1963 is Ron Spencer’s 12 Hour Time Trial with a distance of 267.3 miles. Only Rod Brooks, Nick Giles and Alf Hilton have ever been over the 260 mile mark since 1963, and 35 have tried. Goes to show the quality of Ron’s ride from 1963 which crowned him National Champion. 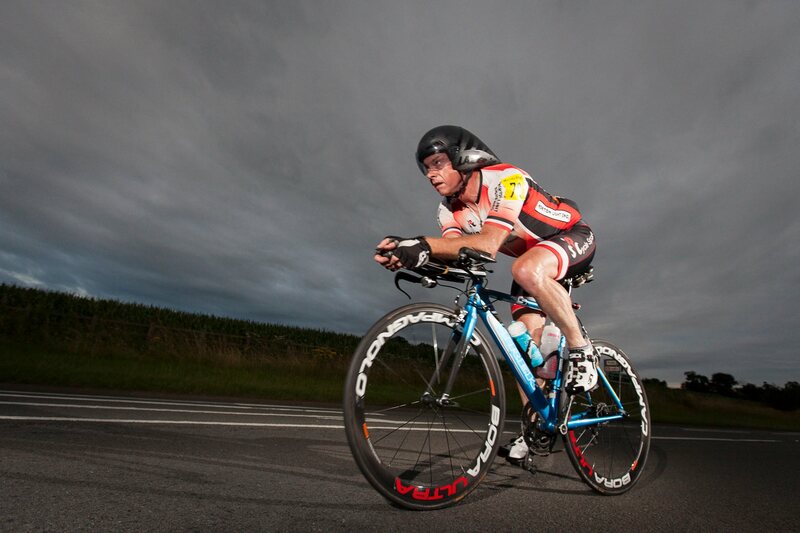 Paul McGowan returned back to the 24 Hour Time Trial event in 2017 after his first successful attempt in 2014 when he recorded 425.36 miles in 24 hours. In 2017 after much time training, Paul completed a brilliant ride of 477.17 miles which not only gave him 7th place on the day, but was National Champion for his age range of 45-49 on the day, a brilliant achievement to say the least. Note if anyone reading this detail has anything to add, with any pictures, please do contact the club as we’d be glad to receive any such information. Please visit our contact page to contact the club. A quick thank you to all over the decades of the club who have provided photographs to make such a historical page come to life. We hope is provides the right kind of image to reflect a club like ours with such a rich history of cycling.